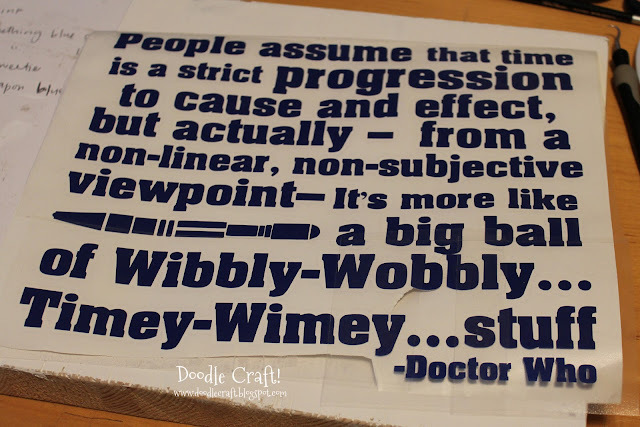 Doodlecraft: Wibbly-Wobbly...Timey-Wimey Doctor Who Sign! 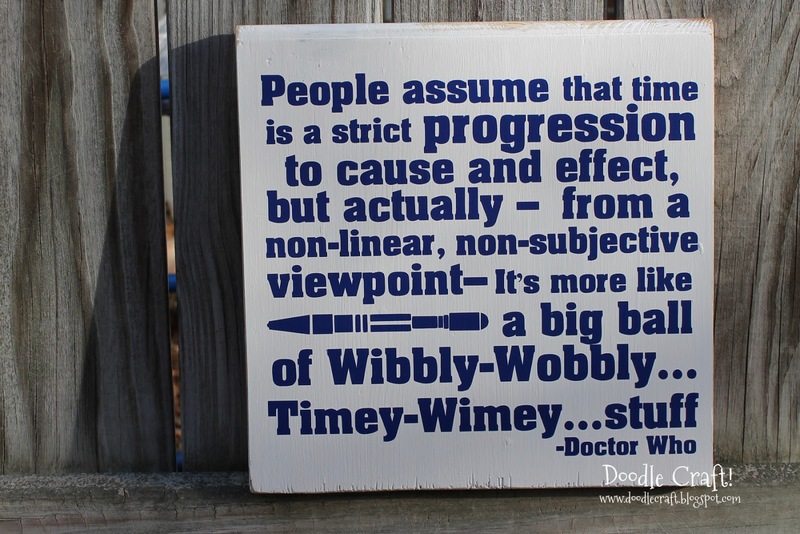 Possibly one of the best Doctor Who quotes ever! 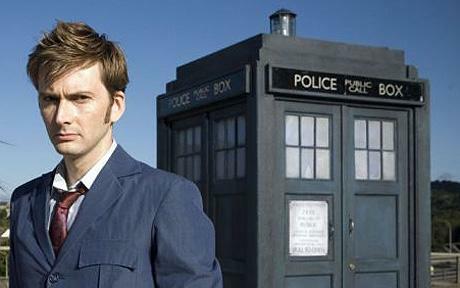 If you haven't watched Doctor Who yet, you ought to give it a go. feel of it from any of the episodes. 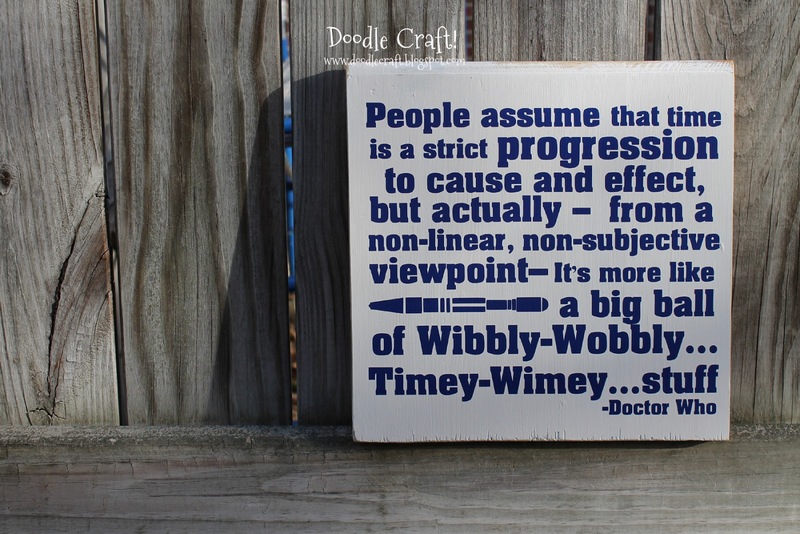 This quote is taken from the Episode Blink! It's complex, fun and scary all at once! On of my favorites for sure! 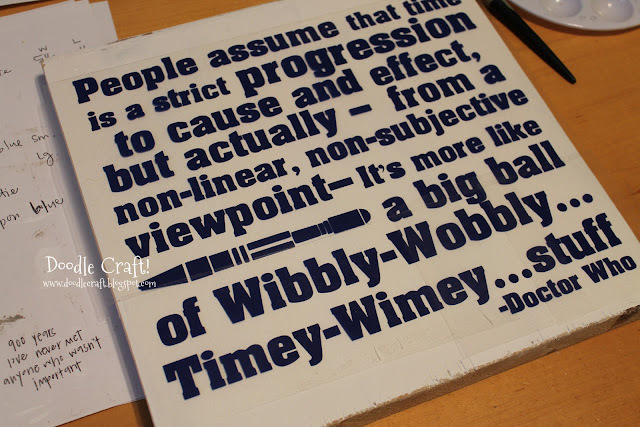 It's more like a big ball of wibbly-wobbly...timey-wimey...stuff." 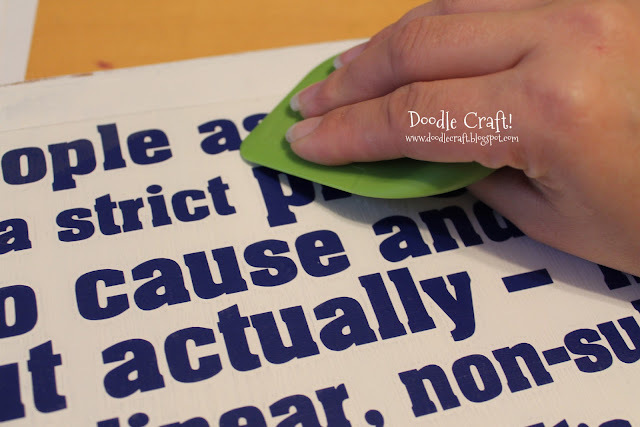 Peeled the transfer paper/vinyl from the backing and stuck it to my prepared wood surface. Carefully remove the transfer paper. I pull up an edge and roll it back on itself while I pull. I love this! A friend of mine asked you for your help in recreating this as a printable for my birthday (because she's awesome... and so are you for helping her!) and I just love it. I'm a huge Doctor Who nerd, too. 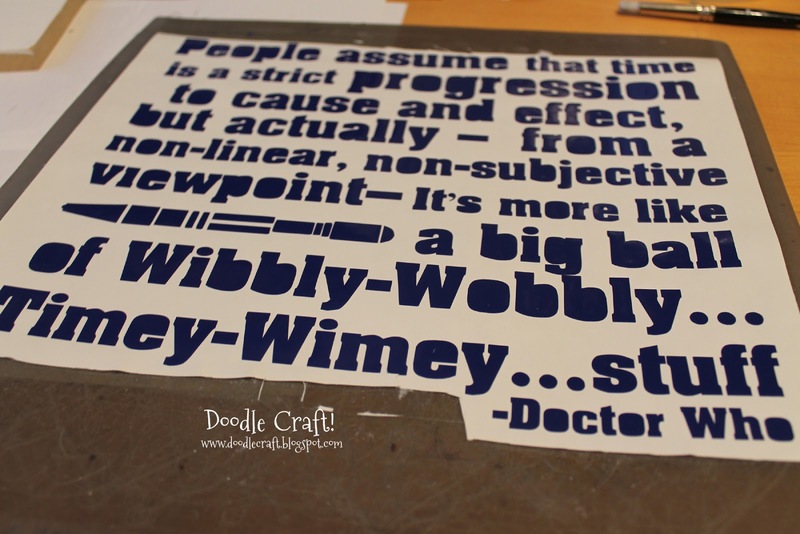 I have already checked out the rest of your DW crafts (and am going to be making a hello Sweetie shirt for my daughter as well as myself haha) and can't wait to look at the rest of your site. I'm definitely going to subscribe to your site updates! I love this, I will be making something similar. 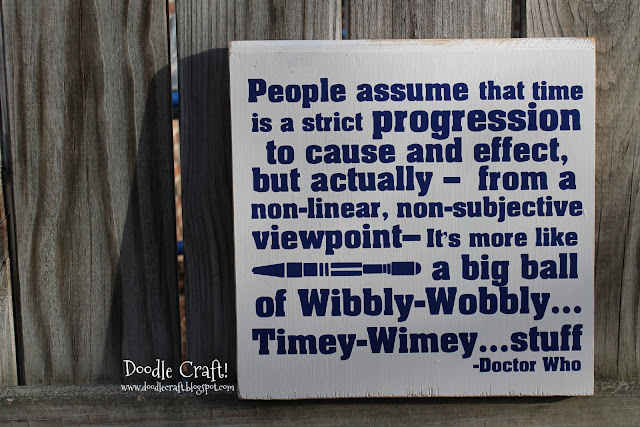 I just have one quibble...Shouldn't the quote be attributed simply to "The Doctor" instead of "Doctor Who"? 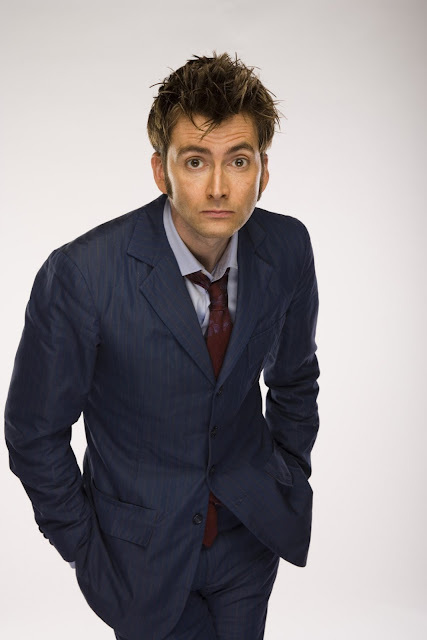 Since that is how he refers to himself, and what others call him. Do you sell the cut files? My daughter would just love this and I am going to try vinyl for the first time today. Yes, that should read "-The Doctor" not "Dr. Who"